My friend, Chanel the Bear, just came home from another cruise. 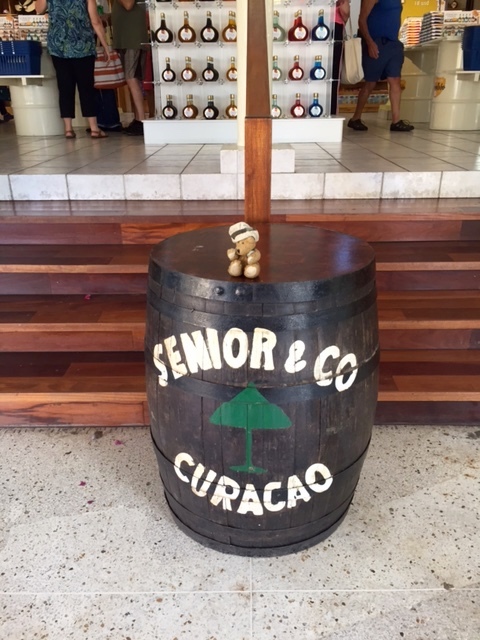 She sent me, Zeb the Duck, some colorful photos from Curacao. Mom told me Curacao is in the Caribbean Sea, just 40 miles (65 km) north of Venezuela in South America. Things look so tropical and warm here. And even a huge sign for Vitamin Water, a common beverage in the United States. Curacao still has strong ties to the Kingdom of the Nederlands. Shopping looks like fun, Chanel. We love these souvenir shirts. Mom told me that Curacao is one of the ABC Islands. The ABC Islands are Aruba, Bonaire, and Curacao. 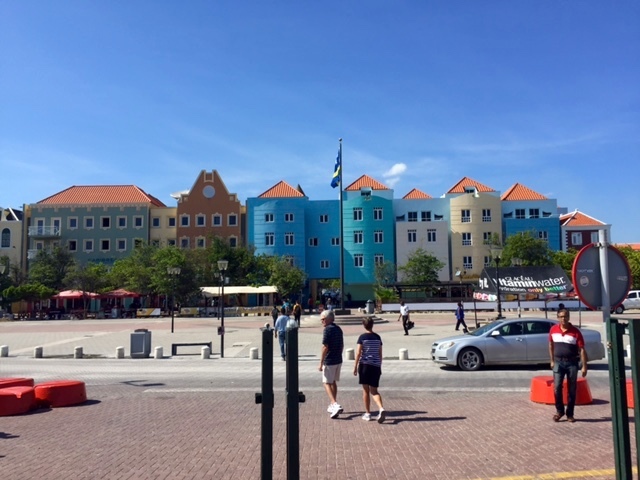 Just look at the colorful buildings in Willemstad, the capital of Curacao. 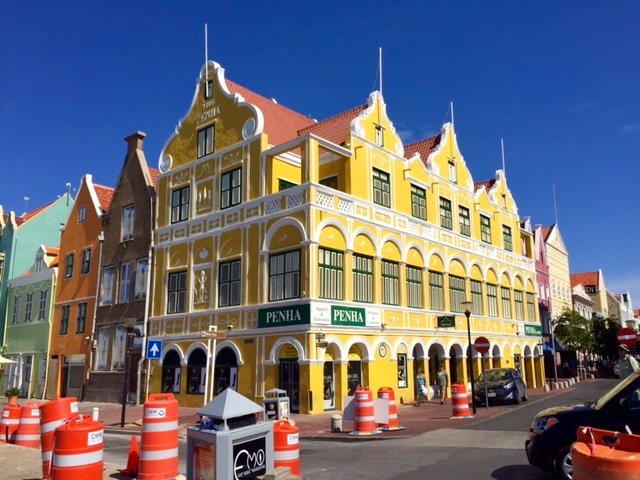 Willemstad is a UNESCO World Heritage Site. Oh Chanel, thank you for sending these photos. How wonderful that you and your mom went on this cruise. This entry was posted in Caribbean, Uncategorized and tagged Caribbean cruise, Chanel the Bear, Colorado Traveling Ducks, Curacao, Netherlands Antilles, Willemstad. Bookmark the permalink. Channel is quite the traveller. Perhaps you should stow away in her bag next time!